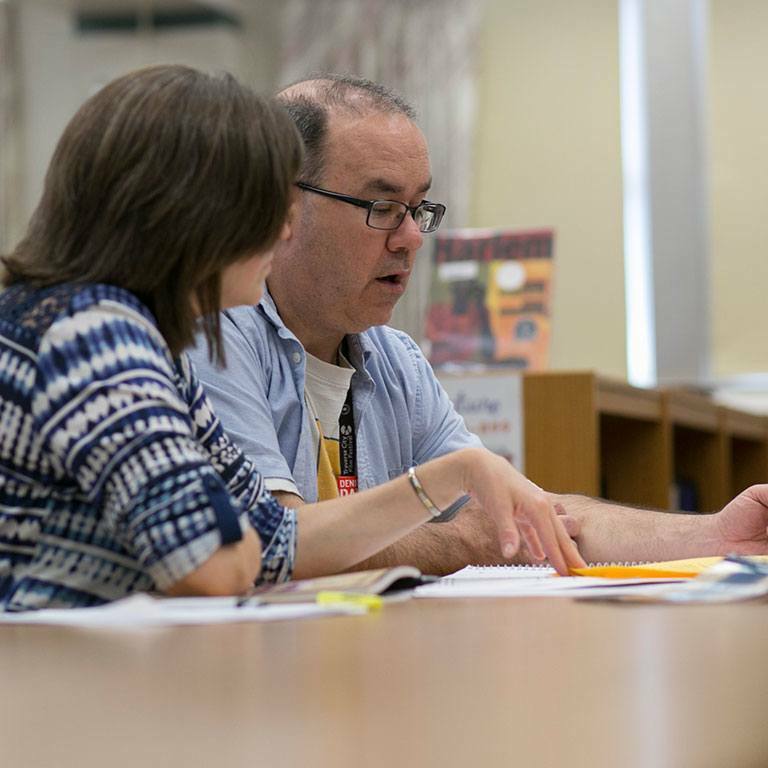 Our academic advisors are here to help you through every phase of your journey at the IUPUI School of Education. We can help you decide which of our programs is right for you, assist you with making the right academic choices as you travel through the program, and answer any questions that come up along the way. We can also help you with completing paperwork, understanding licensing requirements, and ensuring you’re on track for graduation. Contact the Office of the Bursar at (317) 274-2451; here is a link to their website: https://studentcentral.iupui.edu/pay-bill/index.html. You may begin checking Canvas once you are registered for classes. Many of your instructors will use Canvas to communicate information, prior to the start of class and throughout the semester; class syllabus, required text, are usually listed in Canvas. Here is information about Canvas: https://canvas.iu.edu/lms-prd/app . You will use your university username/passphrase to log-in to Canvas. Spring 2019 final grades and degree conferral will be available on your transcript, beginning May 9th. Contact the Office of Student Financial Services, for information about the current or available options for financial aid. Their number is, (317) 274-4162; here is a link to their website: https://studentcentral.iupui.edu/funding/index.html. Unofficial Transcripts are available in your One.IU account. Contact the Office of the Registrar to request an official transcript. Their number is, (317) 274-1519; here is a link for further information: https://studentcentral.iupui.edu/grades-progress/transcripts.html. Contact the Office of Parking & Transportation at (317) 274-4232; here is a link to their website: https://www.parking.iupui.edu/. If you have any questions about creating your university account, accessing your university email or technology resources, contact Information Technology at, (317) 274-4357; here is a link to their website: https://uits.iu.edu/ . Please have your 10 digit student ID number available when speaking with an IT Representative. If you have a university hold, you may be unable to register for classes. Please contact the Office of the Registrar for information about releasing your hold at (317) 274-1519. Current and admitted students for Summer 2019 are eligible to register for Summer and Fall classes, March 30th through the course start date. Beginning May 7th, 2019 for Summer term you will receive a late registration fee. Beginning August 26th, 2019 for Fall term you will receive a late registration fee. Here is information about the registration/transaction fees: https://studentcentral.iupui.edu/cost/tuition-fees/master-fees.html?keyword=late%20registration . Link to the Summer 2019 course offerings; please select Education(EDUC) under the All Departments tab: https://studentcentral.iupui.edu/register/schedule-of-classes/search/iupui-summer-2019. Note: Graduate Education classes are 500 level and above. https://studentcentral.iupui.edu/register/schedule-of-classes/search/iupui-fall-2019. Note: Graduate Education classes are 500 level and above. If you would like to talk to an advisor, you have three options. This is the best way to ensure you meet one-on-one with an advisor. *Current students should reach out to their assigned advisor via email. You can view the available advising staff contact information on the advising staff listing page. To schedule an appointment call 317-274-6801. *advisors meet with students daily and email is the best means of communication. Many students come to us seeking the same types of information. Before you make the trip, see if the resources below can answer your questions. Access admissions information for all of our programs. See all the programs we offer at every level. Learn what you need to know to get and stay licensed. Find the advising sheet for your program.